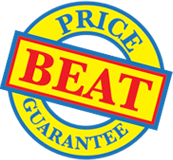 Frosted Binding Covers in A3, A4 and A5 sizes backed by our Price Beat Guarantee. An environmentally more friendly alternative to clear binding covers. Frosted binding covers are made of polypropylene and are recyclable.